Why Is Skype Phone More Popularized by Enterprise Users? When iPhone has taken more efforts on the VOIP service, Skype has worried about its influence as more enterprise users prefer to Skype phone. However, is it the features of the phone or habits only that make such a result on Skype? Among all the online consumer electronics, Skype occurs to be the fastest one in the process of development. When skype mate is available to Skype phone, more and more enterprise users come to use it in the business video conference, especially in the journey of travelling. Nowadays, there’re about 560 million users have registered in Skype messenger while 8.1 million of them are paying customers. After making a general survey of the features of Skype and Skype phone, we can see that many functions in Skype phone are specially designed for business, such as video conference, low expense, multi-network of communication and so on. 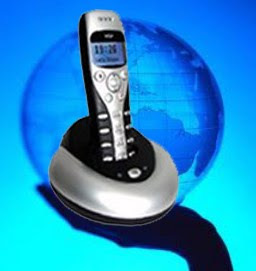 In USB Phone World, many users come to prefer to new cordless USB phones with increasing requirements on Skype. As a matter of fact, Skype phone is not only a tool in daily life but also a symbol of businessman who is fashionable and gracious. However, compared to iPhone, what’s the root advantage of USB phone? There is no doubt that iPhone has also become a symbol of fashion and business, however, it is used more frequently by individual users instead of enterprise users. With higher price and complex usage for iPhone, many companies still prefer to Skype phones as what they used to do before. Just like USB Phone World, many kinds of development are available to Skype phone according to the requirements of users. No matter for what, we should not ignore the innovation of Skype, the initiator of such a new telecommunication network like VOIP, to make our work and life more convenient. After all, Skype phone shouldn’t be only for businessmen but more personal users as well.